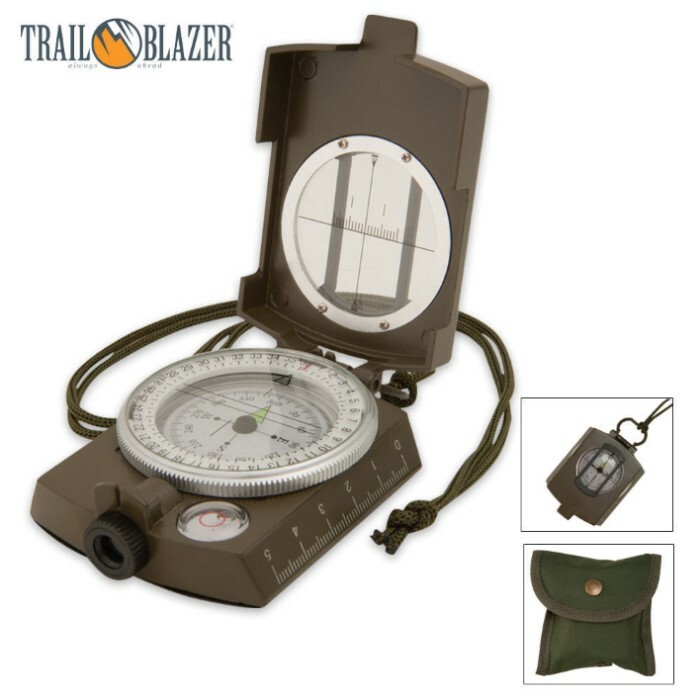 Compasses are an inexpensive yet highly valuable addition to your camping and hiking gear. 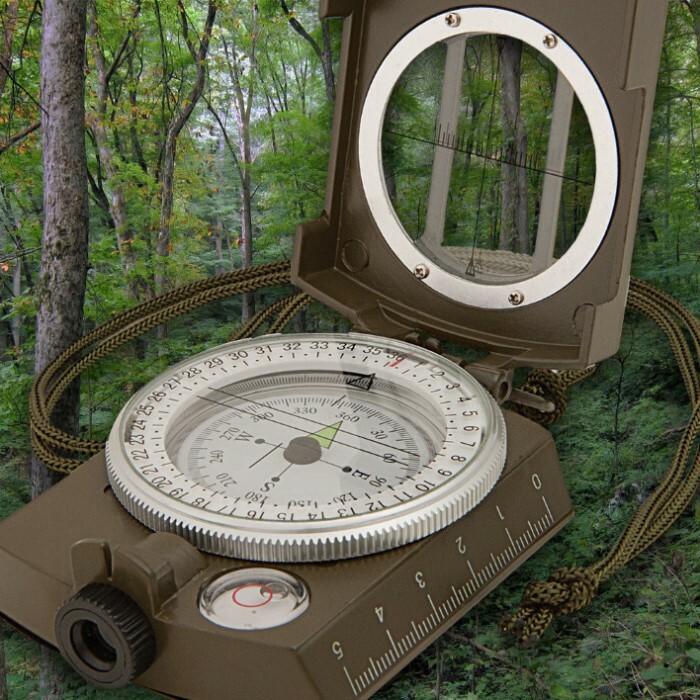 Our Military Style Adventurer Compass features a 2 1/8 in. diameter face with markings in 5-degree increments, a 1/4 in. diameter sight lens, a 9/16 in. diameter bubble level, and a 1 1/2 in. sight with crosshairs. An olive drab nylon carry pouch is included, complete with belt loop. This compass measures 3 1/2 in. by 2 1/2 in. The compass is well made but the thumb ring is way to small to use. Bought this because I want to learn about navigation, and not spend a lot of money right away. I’m a beginner, this is worth every penny!! The man who is teaching me is also impressed, dead on with his $400.00 compass! The metal frame surprised me, I expected plastic. Very happy, anxious to see how it holds up but so far so good!! This was a great buy! Outstanding, looks like plastic in the picture but solid metal in reality. Very well made compass. The pouch is pretty well made to. This "military style" compass is IMHO better than the ones I used in the US military. In addition, this compass has a much better price! My only complaint is that mine had a defect. There was an air bubble in the liquid filled main compartment of the movement. Without this defect, I'd rate this compass a 5. Even with the defect, I prefer this compass to my US military style compass.